If you’re someone who appreciates the appeal of hitting a top tourist destination when the rest of the tourists have already left town, autumn in Niagara Falls should be especially appealing. The crowds have left the locals and the landscape in peace. The pace of life has returned to its more common and gentler gait. The fall foliage has transformed the area’s trees, and everywhere you go, the natural beauty of the region looks and feels every bit as magical as it did during the heady heights of summer. While it’s true that some of the attractions and events have closed up shop for the season when people make their way to Niagara in the fall, in many ways, the majority of the best offerings are still in full force. The waterfalls are never closed, and the world-class dining is always available. One other top-rated attraction, Journey Behind the Falls, is also still open, and though the crowds have waned, the days are shortening, and the weather is cooling, it’s still a fantastic experience for whoever takes the time to experience it. If you’re looking for an autumn treat for you and your family, set aside some time to venture out to Niagara Falls, and consider all that water in a fresh new way with a visit to Journey Behind the Falls. Journey Behind the Falls is exactly what it sounds like: a close-up peek behind the thunderous and watery curtain of one of the world’s most awe-inspiring natural wonders. With just an elevator ride down 150 feet, you and your party will travel through the bedrock over which the water tumbles. 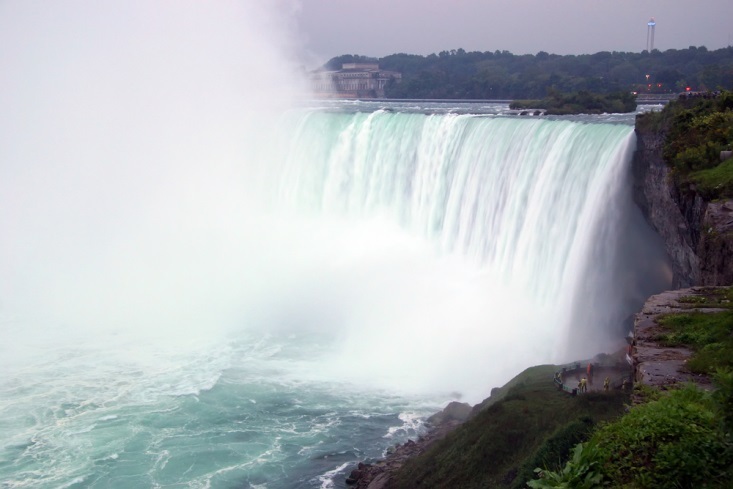 You’ll head to the Cataract Portal and the Great Falls Portal, and you’ll walk behind one of the most powerful phenomenon known to humankind: the rushing and tumbling sheet of water that makes up the Horseshoe Falls. 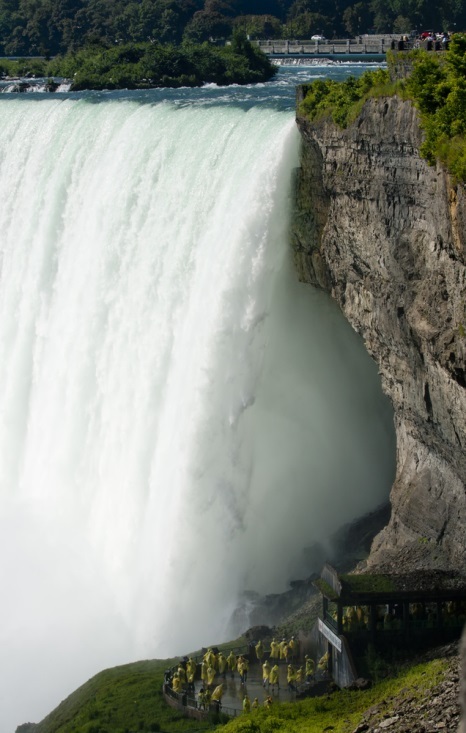 Over 6 million cubic feet of water rushes over Niagara Falls every minute when the Falls are at their fastest, which translates to trillions of drops of water traveling at speeds that exceed 64 km per hour. The cooling autumn months see a small drop-off in that mind-blowing amount and speed, but you certainly can’t tell by the look and sound of it. You won’t be able to avoid being hit by the mist that rises off the water as even your body seems completely filled with the ever-present and never-ceasing roar of all that water. As you ponder the daredevils who plunged over and down in wooden barrels, rubber balls, steel barrels, and on jet skis, you’ll be amazed anyone has ever lived to tell about it. For just $19.95 for anyone over 13, and $13 for kids between the ages of 6 and 12, Journey Behind the Falls is an unforgettable look behind Niagara Falls, no matter what time of year it is or what kind of weather sits just beyond them. If you’re looking for a pre-holiday getaway for you and your family, autumn in Niagara is perfect — especially if you take in the Journey Behind the Falls.